Dominican Republic is the second biggest country in the Caribbean region after Cuba. Because of its massive land area, Dominican Republic is known to be one of the most geographically diverse nations – from mysterious desert woodlands and wild rainforests to spectacular mountain sceneries. Expats moving to Dominican Republic will find that the locals are very hospitable and friendly, making the adjustment into a new environment more pleasing to foreign nationals. Considered as the second biggest country in the Caribbean region, Dominican Republic has a land area of 48,445 square kilometers. Aside from having a huge territory, the economy of Dominican Republic is also known as the second largest in Central America and Caribbean. The country has a population of approximately 10.28 million as of 2012, 63% of which reside in urban areas. Dominican Republic’s official language is Spanish, which is attributed to the ruling of Spanish people in the country for three centuries. Among the countries belonging to the Caribbean region, Dominican Republic has the most number of foreign visitors. In 2013, the country welcomed more than four million tourists from all over the world, increasing by 3.6% compared to 2012 where Dominican Republic was visited by some 3.9 million tourists. Due to a steady and massive influx of foreign visitors, the tourism sector of Dominican Republic has now become one of the most important industry that helps in generating the country’s economic growth and activity. Dominican Republic’s capital city, Santo Domingo is the country’s commercial, cultural, financial, industrial and political center. It is also the biggest city in the Caribbean region by population. To gain entry into the Dominican Republic, foreign nationals must have a tourist visa or business visa. However, foreigners from Argentina, Chile, Ecuador, Israel, Japan, Peru, South Korea, and Uruguay do not require a visa. 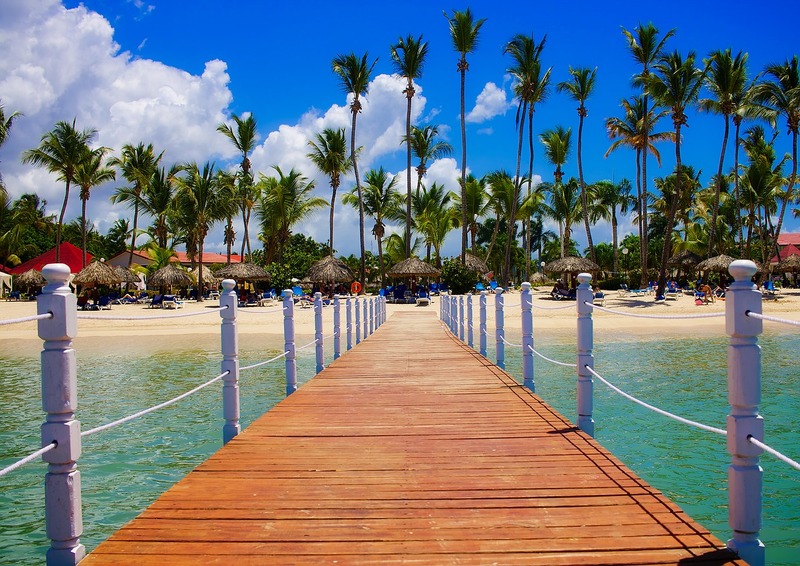 Expats from first world countries can avail of a tourist card upon arrival in Dominican Republic, which is valid for a period of 30 days and costs about $10. Meanwhile, foreign nationals who are planning to work in the country are required to obtain a work visa from the Dominican Republic embassy in their country of origin. Those who wish to reside in the country are required to submit essential documents for the application for a residence permit, which will be applied for at the consulate of the Dominican Republic. Occupying the eastern side of Hispaniola Island and Haiti on its west, the Dominican Republic is a sovereign state in the Caribbean Nation famous for its crystal-clear beaches. It is becoming a favourite country for expats who are relocating to improve their career and financial status since the Dominican Republic is considered to be the fastest growing economies in the Americas. Aside from its seaside attractions, you will find this country able to take your breath away with its abundance of savannahs and rainforests which you can explore with your family after a busy work week. Moving to another country is a lot of work and planning, here are some of the points that can help you make a smooth transition. One of the ways to start your search is to go around the city and look for signs outside buildings that say ‘se alquila’ which means ‘to let’. A majority of the locals speak English, but if you know how to speak Spanish, you can ask around or contact corredores (realtors) that can assist you in finding the right property based on your budget and needs. Some landlords do not include the utilities in the monthly rent so be sure to ask before committing. The average monthly cost of essential services like water, gas and electricity in the city is €60. Internet connection is around €45 per month, and the local prepaid mobile call is billed roughly €0.16 per minute. It is suggested that you rent instead of buying a property in the Dominican Republic since the process of buying real estate includes a lot of process and time. You have the flexibility to choose between short-term (month to month basis) and long-term rental agreements. Finding high-rise buildings and apartments in the Dominican Republic is rare. The most typical type of housing in the country is the barrio or neighbourhood where you can find a 1 or 3 bedroom houses with a small living room, bathroom and a kitchen. There are also properties that include driveways, lawns and fences but these are mostly found in uptown areas. Santo Domingo is the capital of the Republic and where you will find most of the expats. 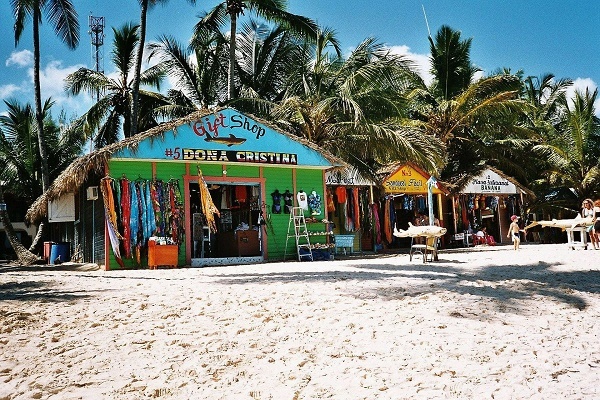 It is located just next to the Caribbean Sea and where most of the restaurants, shopping malls and supermarkets are. The business district is also in Santo Domingo so it is a convenient place to live in given you will be close to the offices. The average monthly rent for a one bedroom house is €300 while a three bedroom unit is €700. If you are relocating with your family, a more considerable option for you is the city of Puerto Plata. Here you will find houses inside gated communities and a peaceful environment. A one bedroom house in Puerto Plata starts at around €200 per month while a three bedroom’s rent starts at €250. You can enrol your children in Pre-school (NivelInicial) as soon as they reach the age of three. It is compulsory in the Republic for children ages 6-14 to be in Primary School or Standard Education (NivelBasico) while those between the ages of 14-18 though not mandatory, should be in Secondary School (Nivel Medio). You can look for international schools where the curriculum is designed to address the needs of your expat children. There is the International School of Santo Domingo and the Cathedral International School. Several local schools can be found across the Republic like the University of Santo Domingo, a state-owned tertiary school where the students get their education for free because it is completely funded by the government. It is always helpful to contact professional shipping and removal companies to help you move your belongings to the Dominican Republic. The cost of the service is based on factors like the weight and quantity, distance, type of furniture and how many personnel are required to complete the job. Average delivery time to the Republic is within 16 days for standard shipping and within five days for express shipping, still depending on the country of origin. Containers will arrive either in Multimodal Caucedo Port or Haina Occidental Port where the cargos will be inspected by customs. All pets entering the Dominican Republic must be vaccinated for rabies between one month and twelve months before arrival. You should also ask your veterinarian to issue you a Veterinary Certificate for the Dominican Republic. Failure to provide these requirements upon import means that your pet will be put into quarantine for 8 to 30 days, depending on your country of origin. 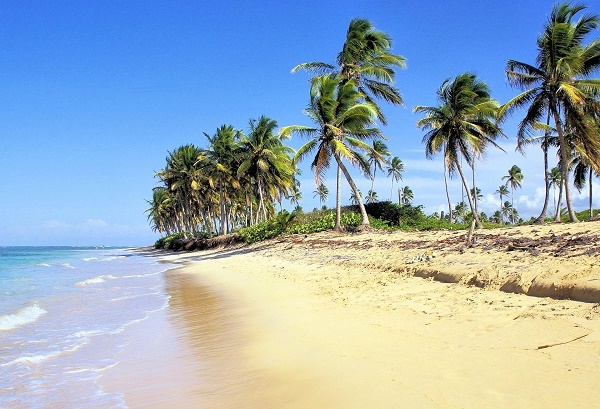 The Dominican Republic is a country blessed with a tropical climate, pristine waters and multi-cultural community. A place in the Caribbean that you will quickly call a home away from home. The Dominican Republic is a Caribbean nation on the island of Hispaniola which is well-known for its unspoilt beaches, resorts and areas to play golf. The country is the most visited destination in the Caribbean and is home to the area where the first cathedral, castle, fortress and monastery in the Americas were built. Aside from over 500 years of Spanish influence, Dominican Republic boasts exceptional mountain scenery, deserts to explore and sunny beaches which make it a hit for those who want to work and play. Having one of the most rapidly developing economies in the Americas as well as the ninth largest economy across Latin America, the Services sector of the Dominican Republic provides the primary source of employment for Dominicans and expats alike. Today, this country is not just an acclaimed tourist spot but also a famous destination for foreign nationals who want to improve their lives and careers. The Dominican Republic has earned its rightful spot as one of the top kid-friendly and family-oriented destinations in the Caribbean. Though there are tonnes of luxury hotels in this country that offer their fair share of swimming pools and indoor facilities, the great tropical outdoors is still the best place to have fun. The Dominican Republic boasts a total of nine national parks where expat families can enjoy while reconnecting to Mother Nature. One of the most famous is the Parque Nacional del Este (Eastern National Park) which is a UNESCO World Heritage Site. Another gem in Dominican Republic’s already overflowing treasure chest is the Samaná Peninsula & Samaná Bay, an island adorned by white-sand beaches, vast jungle, thick mangrove forests, pristine waters and a wide variety of marine animals. Expat parents whose kids adore wildlife can also visit Lago Enriquillo (Lake Enriquillo) in Antilles. This lake is the perfect place to watch iguanas and flamingos. In the midst of it is the Parque Nacional Isla Cabritos, one of the largest reserves of American crocodiles and home to over 62 species of birds. Driving in Dominica is not just a mode of transportation but also one of the best ways to explore the beautiful towns. Residents of this country drive a right-hand drive vehicle on the left side of the road. It is also mandatory (by law) for all passengers to wear seatbelts and for the owner to have the compulsory third-party insurance. Driving under the influence of alcohol (DUI) is also a big no-no in this country and those who will be caught committing a driving offence will be issued with a fine notice. The maximum speed limit in Dominica is 80 kilometres per hour in open roads and up to 50 kilometres per hour in town roads. Currently, Scotiabank is the only international bank in Dominica but expats can also consider other local banks such as Banco Popular, Banreservas and Banco Leon. One of the first things that expats will notice is that 80% of the country's population is comprised of the mulattos (dark skinned people). It is because Dominica has always been a destination of Spanish colonists, Taino Indians and Africans. There is an evident desire to have whiter complexion, and most of the rich or well off Dominicans are pale skinned. There are three significant elements of the Dominican culture: family, music and food. Music is an essential part of the locals’ lives, and the three traditional forms of music in this country are salsa, bachata and merengue. Due to the influx of western expats, R&B and hip-hop also became widely famous in this country. Despite the economic rise, poverty is still evident in some areas of the Dominican Republic. However, what foreign nationals will marvel at is the capacity of the Dominicans to be happy regardless of their financial hurdles. The locals, by nature, are friendly and are blessed with a contagious smile that will make strangers feel like they’ve always belonged. The Dominican Republic is for sure, not yet a powerhouse nation but here, neighbours look out for each other, people tell uplifting stories that can scare the darkest storm away and above all else, the Dominicans believe that family is the greatest wealth there is on earth.